Whether it’s cameras, cars or TVs the Japanese have a tendency to take things invented in other countries and making them their own. This is especially true when it comes to food. Many “Japanese” dishes such as ramen, tempura and tonkatsu are more international in provenance than most menus would have you believe. 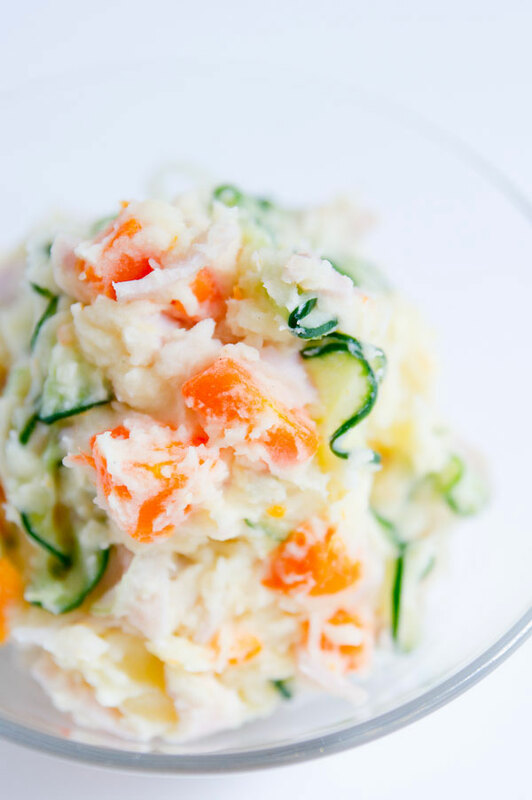 Potato salad is another dish that’s been reinvented in Japan and has become a household staple there. 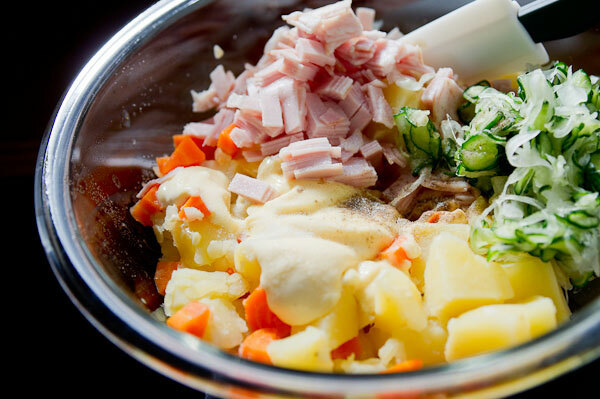 In the Japanese version, the potatoes are mashed with the dressing, and the salad is loaded with ham, carrots, and quick pickled cucumbers and onions. The resulting salad is a colorful mélange of creamy, crunchy, sweet, and savory that’s as fun to eat, as it is to look at. 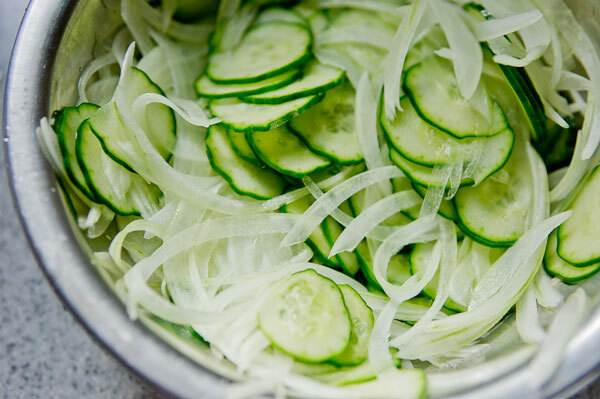 With more vegetables and less mayonnaise it’s also slightly healthier. Mayonnaise is one of those divisive foods that people tend to either love or hate. The good news is that this potato salad tastes great with or without mayonnaise. If you happen to be in the camp of people that hates mayo or just want a lighter potato salad, replace the mayo with olive oil. If you love mayo, try finding Kewpie brand, it comes in a clear plastic squeeze bottle with a red cap and can be found in most Asian grocery stores. It’s more acidic than other brands and has more flavor. 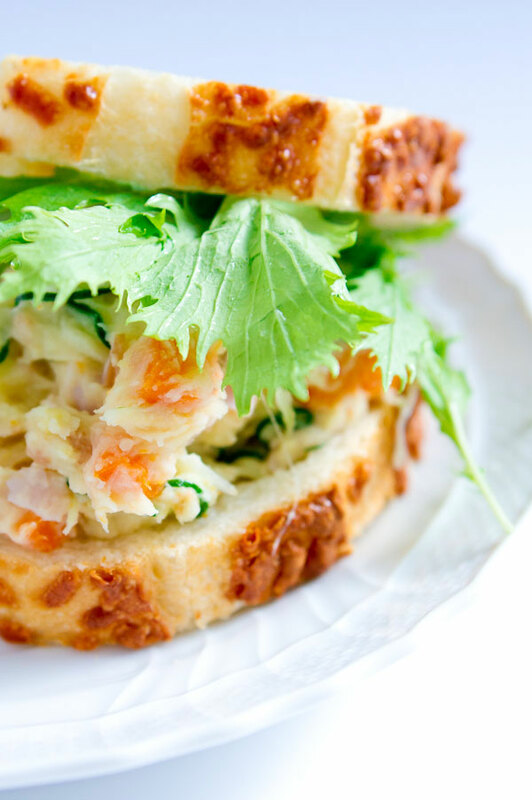 While unlikely, if you happen to have some leftovers, this potato salad is great in a sandwich the next day. 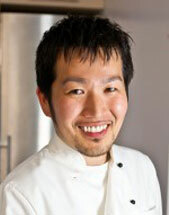 A great side dish or sandwich with a Japanese twist from Marc Matsumoto of No Recipes. See the full post at the Fresh Tastes Blog.